Universal Audenried’s principal, Blanchard Diavua, hopes to continue bettering the school this year. The only state-approved charter school for Career and Technical Education, Universal Audenried, has remained vigilant in advancing and expanding its many programs in recent years. Under the leadership of third-year principal Blanchard Diavua, the school plans to continue its strive for success into the 2017–2018 school year. 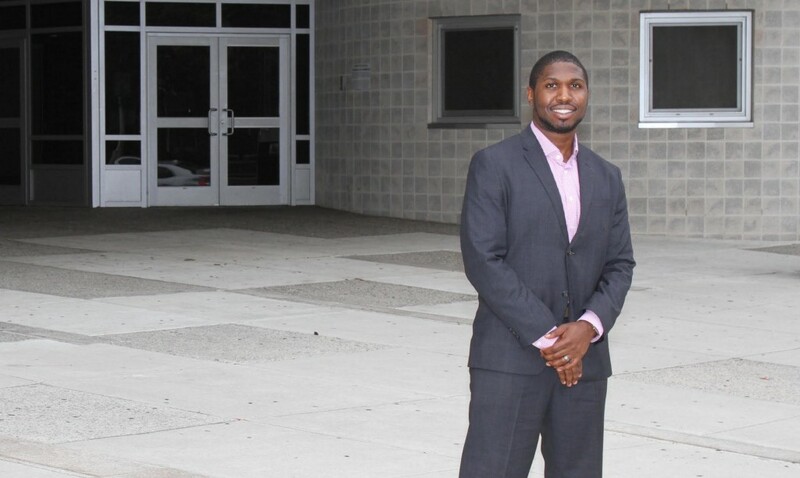 According to Diavua, one of the largest shifts in focus he has seen in only his few years serving as principal has involved ensuring students are graduating with applicable industry certifications. For example, for culinary arts students, by obtaining a Safe Serv Certification they are then able to work in the many kitchens and hotels across the country. Similarly, when automotive technology students obtain a Electrical Power & Transmission Installer Certificate, their educations becoming increasingly valuable. Along with pushing for an increased number of students pursuing certifications, Diavua says he has put a large emphasis on overall college and career readiness throughout the school’s programs. He believes providing options for students moving forward is essential, and an effective way to do so is through helping place them in internship opportunities both while in-school or during the summer months. In conversing with local businesses, Diavua said local car dealerships and even casinos (for students ages 18 and older) are open to the idea of accepting interns. He added Universal Audenried, which is located at 3301 Tasker St., is always open to the idea of adding new corporate community partners. Furthermore, in addition to increasing internship opportunities, Diavua notes another immediate goal is to continue building students’ test scores through adequate preparation. By assessing data from test scores in previous years, the school then uses the existing schedule to build in intervention blocks and set aside increased time to intervene on areas which students need to improve upon. He added that another key to success is to increase the everyday standards placed on students at Universal Audenried. Diavua says that if they are held to higher standards, students are more apt to focus on their education and seek the necessary resources to achieve the results expected of them. Also to give students a more career-focused education, Universal Audenried has chosen not to force students to take random electives like many other high schools do, but rather core classes to relate to their specific field of interest. For example, Construction Trades students will learn how to apply what they are learning in English or math classes to applicable uses throughout that field. Proving the success of Universal Audenried’s recent endeavors, Diavua sees no reason why this trend would not continue moving into the new school year. His only additional hope is more students, both incoming freshmen and transfer students, will make the decision to become a member of the Universal Audenried academic family. For more information on the school, visit: http://www.universalfamilyofschools.org/our-schools/universal-audenried-charter-high-school/.